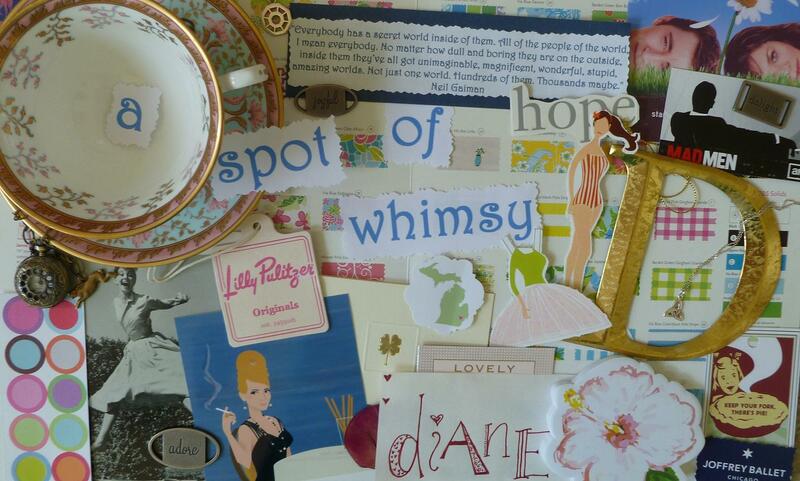 a spot of whimsy: grateful: week 19. 2) i survived a hellish work week that left me drained and frazzled. although i had to work through the weekend to get everything done, i can say i'm grateful that i was still able to catch-up on sleep and re-energize for this coming week. 3) i finally had the time to make the new blog header (and button! see below.) i've wanted to do for several months! it's a collection of many of the things that love and inspire me and this blog. if you've been reading a spot of whimsy for awhile, i have a feeling you'll recognize most of them! i wanted the header to reflect more about all the things this blog entails. hope you like. 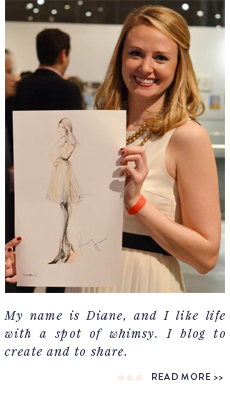 Nice work, Diane--on the not shopping, the working, and the blog! Sadly, I was unable to make it through the month without shopping. The college roommates got together to go shopping on Michigan Ave this weekend and I could not resist making some purchases. I may try to forego shopping this month, too, because I have learned that it seems to be all or nothing for me. If I look, I buy, so I just can't even look. Hope this week goes better for you!